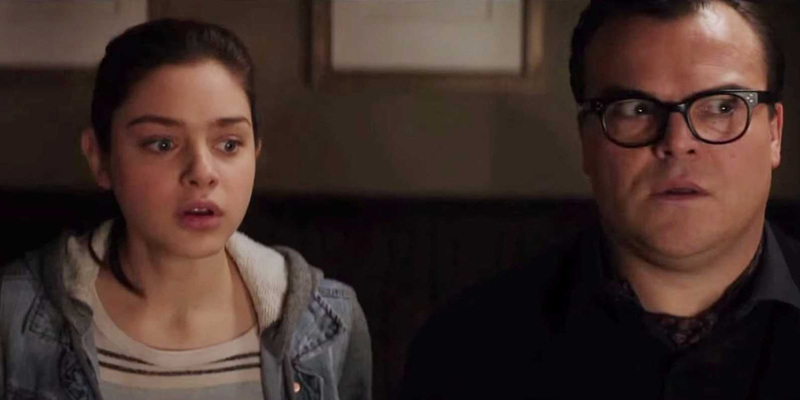 Home / Movies / Teen Actress Odeya Rush Takes on Ghouls, Zombies in "Goosebumps"
Teen Actress Odeya Rush Takes on Ghouls, Zombies in "Goosebumps"
When their sister’s next movie, Columbia Pictures' “Goosebumps” opens, however, her brothers will definitely be watching her on screen. Rush has six brothers, all of whom love the series of Goosebumps books by acclaimed children’s author R. L. Stine, and their sister is taking the lead female role in the movie adaptation, starring opposite Jack Black, Dylan Minnette and Ryan Lee. “They want to see the movie,” says Rush of her siblings. Directed by Rob Letterman, “Goosebumps” casts Rush as Hannah, the daughter of a man who lives next door to the film’s young leading man, Zach (Minnette). As the story unfolds, it transpires that Hannah’s father is R. L. Stine (Black) and that the family’s house contains a dangerous secret: the creatures from the author’s stories are in fact real, and Stine protects his readers by keeping the monsters locked up in their books. When Stine’s creations are accidentally released from their manuscripts, a crazy night of adventure ensues. It’s an exciting movie, replete with many of the famous monsters from the Goosebumps books. She particularly enjoyed the fact that her character, Hannah, is not a damsel in distress. “With `Goosebumps,' Hannah is not the one being scared. In this movie, we are going against stereotypes. Hannah is the one telling Zach, ‘Do you want me to hold your hand?’ She is the one teasing him.